A Google search on “the vision of God” yields much. Many of the articles and essays of this yield are about God’s vision for us. For an example, we are offered steps to help us find out what God’s vision is for our life. Others offer motivational words about how vision enables us to achieve great things. Vision of the gold medal enables an Olympic athlete to endure the hardships and monotony of long years of training; vision gives us purpose and direction in life. Hence, if we knew what God’s vision was for us, then we would be empowered to achieve it. Predictably, we’re told that God wants us to achieve great things. … Our Vision of God? 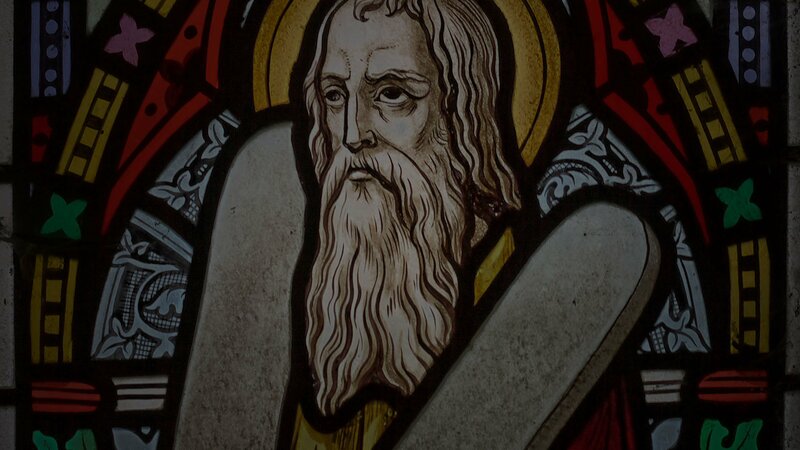 In classical Christian theology, when speaking of “the vision of God” we are generally not referring to what God’s vision (we might just say “will”) is for our lives.1For example, Saint Irenaeus of Lyons (c. 130-202 A.D.) famously wrote, “The glory of God is man fully alive, and the life of man is the vision of God.” (Against Heresies, Book 4, 20:7). Here, the vision rather has to do with our own face to face encounter with God. It is we who catch the vision of the invisible God, our eyes having been opened, not God having a vision of us. We might even say that, in a certain sense, we behold ourselves and the world around us through God’s eyes, the eyes of his love. To be sure, catching the vision of God has little to do with future achievement and advancement in this world, even less so with anxiously seeking God’s “vision” for us. God’s vision for us is that we be like him as he has revealed himself to us in Christ, and being like him that we come to behold him face to face in perfect communion (1 John 3:2). In other words, God’s vision for us is that we have the vision of God; that we rest in his presence and behold his overwhelming beauty; that our own persons might be shot through with, transfigured and given definition by, that light. Of course, any encounter with God comes also as a judgment, because we are sinners. At the same time, however, such encounters are cleansing because we begin to see through the masquerade of our sins into what is true and good; we are borne into light and true being. This is why the contemplative life, which is the Christian life, cannot be based in moments or quick-fixes, but is rather a lifelong way of continual conversion. Be that as it may, our concern here is the concern of redemption, not utility. Our efforts and accomplishments do not redeem us; only communion with God can do that, and it does that on the level of being. Whether we are successful or a failure according to the standards of this world seems to be of little concern for the Christian life. Indeed, God’s strength is made perfect in weakness (2 Cor. 12:9), and the wisdom of this world is foolishness to God (1 Cor. 3:19). The vision of God is eschatological. That is to say, it is the substance of the end times; it overcomes this world (John 16:33) and it unites all things in Christ (Col 1:15-20). When we catch the vision of God all striving falls away. When we catch the vision of God we are united to one another in the presence of perfection. All is complete; all is accomplished; the struggle of evil is vanquished and all is just as God has willed it to be (Rev. 21:1-8). It is truly the promised Sabbath rest (Heb 4:1-10). To recapture the vision of God, therefore, is to recapture being; it is to rest in God. It is, indeed, to rest in your deepest person as God has made you, and not as your family according to the flesh, the world or your own fantasizing and willing and visions have made you. Saint Augustine famously prayed, “You have made us for yourself, O Lord, and my heart is restless until it rests in you.” (Confessions, 1.1). Such is the way of contemplative prayer. Americans are achievers, and we are greedy. The busier we are – the more we accomplish and the more we gain – the more justified we feel. But, if we are to be Christians, our justification cannot come from a smug self-sufficiency, nor from an individualistic concern about what God’s vision is for our atomized lives. No, our justification must come from elsewhere. It must come from the very real fact that we are made in God’s image, and that in Christ that image is restored and redeemed – not by our successes according to the standards of this world, but by the self-gifting fidelity of the cross. When we begin to rest in God’s image within us and so to manifest God’s likeness, the heavenly is anticipated and actually participated in. We begin to comprehend that day when God shall say, “all is finished” (John 19:30), all is fulfilled, when time and its changes and chances will have been surmounted, and when God will have made his dwelling among men (John 1:14; Rev. 21:3). And we will comprehend that such a day will be all God’s achievement, not our own, even as he has already accomplished it in Jesus Christ. 1. ￪ For example, Saint Irenaeus of Lyons (c. 130-202 A.D.) famously wrote, “The glory of God is man fully alive, and the life of man is the vision of God.” (Against Heresies, Book 4, 20:7).